It’s June, and it’s cherry season. Cherries are within the category of produce which I buy only in season; and now is their time. Last night in the midst of the usual heat, hunger and confusion of the hour-before-supper, I quickly set up an easy practical life activity for Jasper to work on at the kitchen counter while whirled around making pizza dough and chopping topping ingredients (we usually have pizza on Friday nights, but it was just that kind of a Monday). 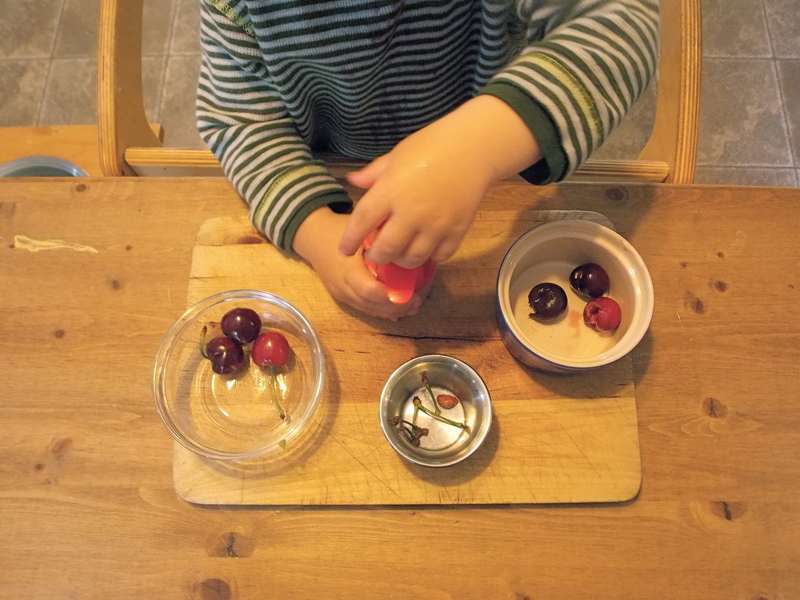 This wonderful cherry-pitter is from For Small Hands, an online/catalogue Montessori-supplies retailer for families. The presentation was simple — and, in the insanity of the w̶i̶t̶c̶h̶i̶n̶g̶ ̶ pre-dinner hour, necessarily so. 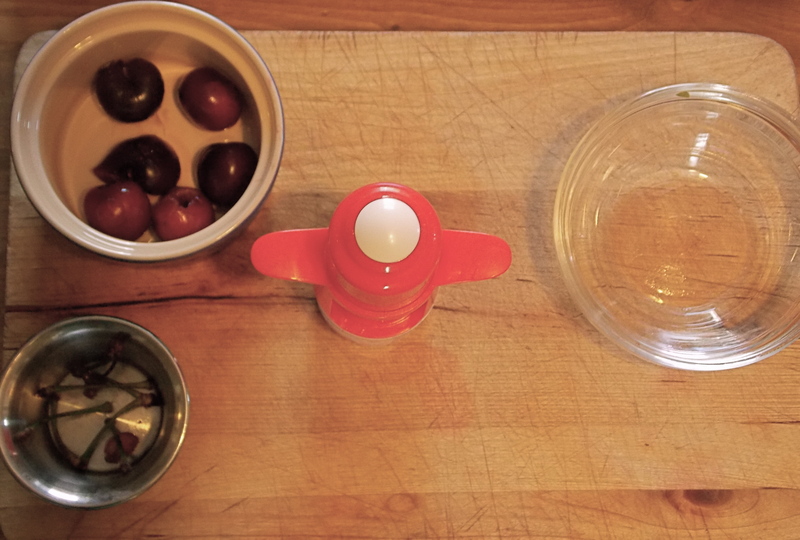 A bowl of cherries, a bowl for pitted cherries, and a little dish for stems (the pits are caught in the bottom of the cherry-pitter). One quick presentation, he was off to the races and dessert was taken care of. Jasper is a big time olive-lover, and this pitter works well for olives too. Save the preserved foods for colder weather, though. For now: it’s all cherries, all the time.